It’s probably still the middle of summer where you are, or even the middle of winter if you live ‘down under’. But believe it or not, here in the U.S. we are getting ready to start the new school year. 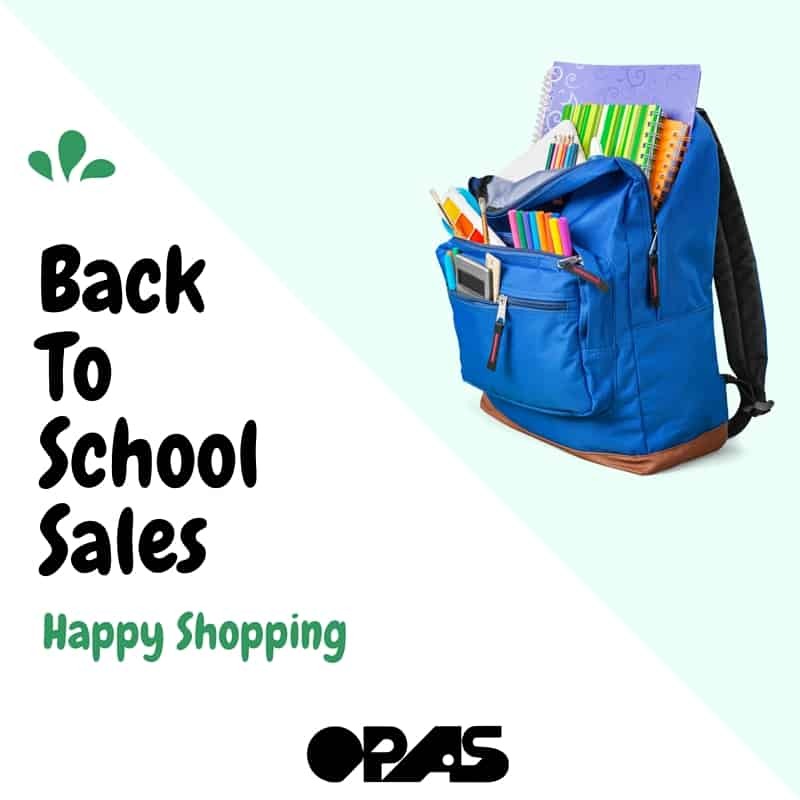 Back to school sales have more recently played a major part in how our shoppers purchase items, specifically because it’s not just about pens and a great outfit, you can also find great deals on technology such as laptops, tablets, calculators and even personal fitness devices. Old Navy has a generous back to school sale with 60% off deals. The coolest backpacks (really!) starting at only $14.00. No early morning ‘get your shoes on stress’ with HICKIES Original Unisex One-size Fits All Elastic No-Tie Shoelaces For All Types Of Shoes. Every mom knows that shoes get destroyed super fast so why spend too much when you can buy a cool slip on sneaker for only $12.00? and for the girls, so many cool styles! Meanwhile on Amazon, many back to school supplies and technology in one handy area. Please let us know if we can help you find anything else or, if you are not yet an OPAS preferred customer, how we can help you set up your account. Registration is FREE.